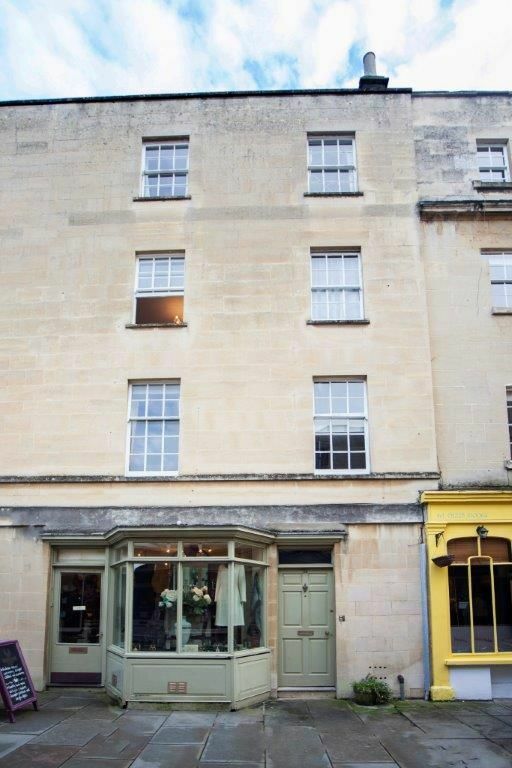 Love Bath’s cafe society at this friendly charming apartment for 2 people in historic central Bath. 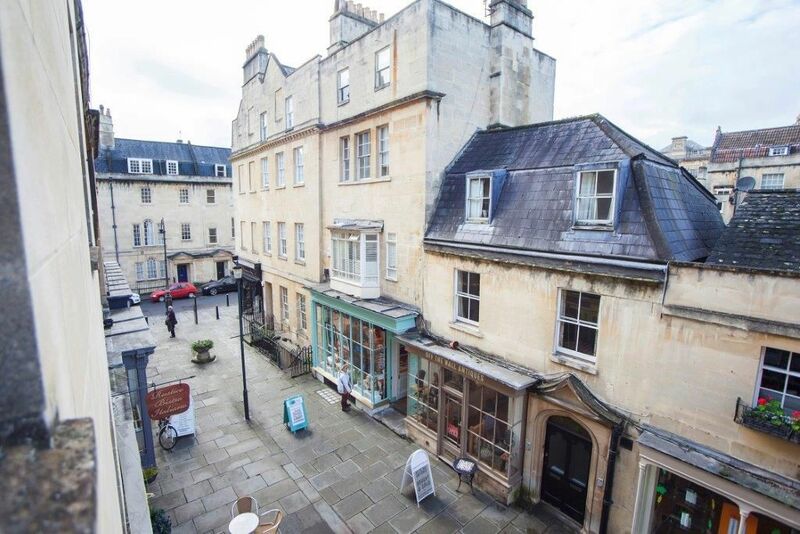 Overlooking a picturesque Georgian pedestrianised shopping street of gorgeous boutiques, and eateries and just around the corner from the Royal Crescent and The Circus, you can effortlessly combine all your sightseeing with indulgent shopping and leisurely meals. 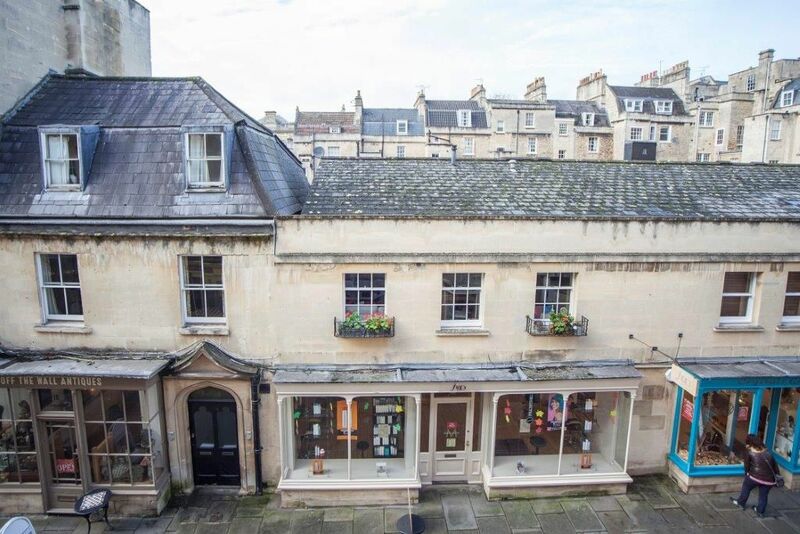 This charming and eclectic home on the 2nd floor has a cosy living room with original sash windows overlooking Georgian shops, terraces and roof-scapes. There is a sofa for 2, an armchair and on a sideboard is a small TV with Netflix. There is wi-fi, books and games and a rack of useful Bath guides. The fresh and pretty double room has a 5’ double bed, a small chest of drawers and a small wardrobe with shelf space and hairdryer within. A retro style digital radio has bluetooth connection. 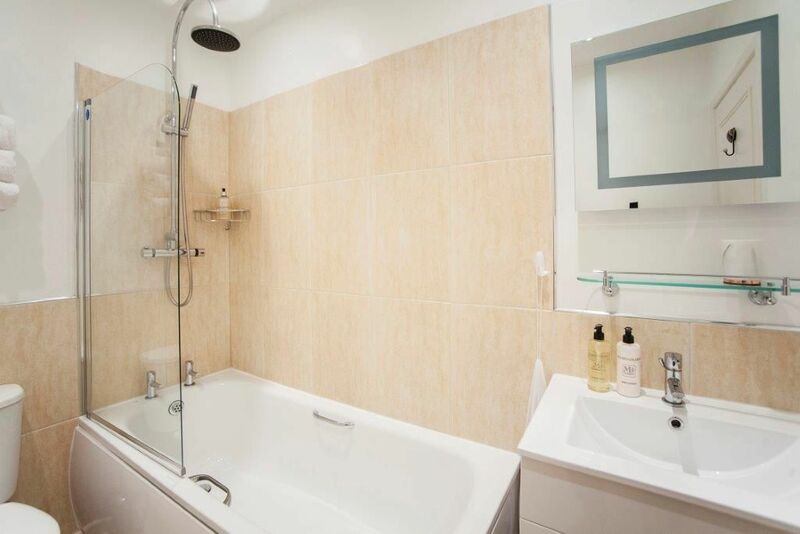 The white and cream tiled bathroom has a bath with shower over (with both a rainfall shower- head or handset). 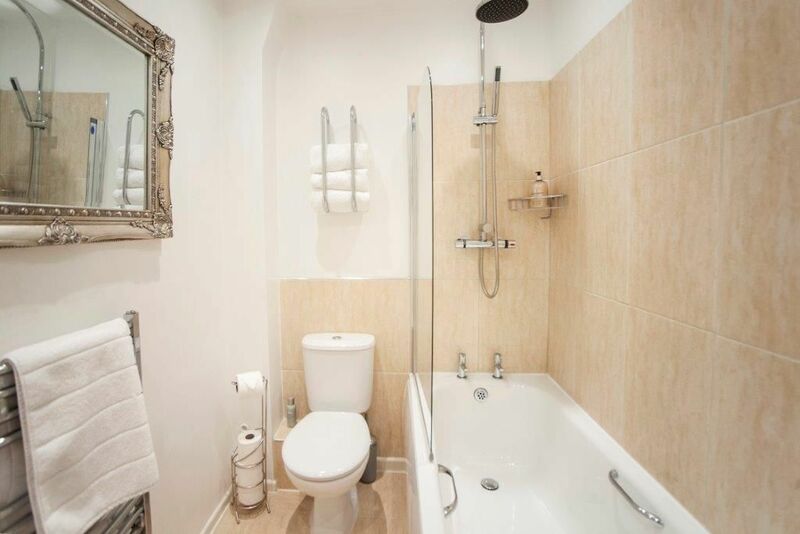 There is a hand-basin with storage under and a WC. 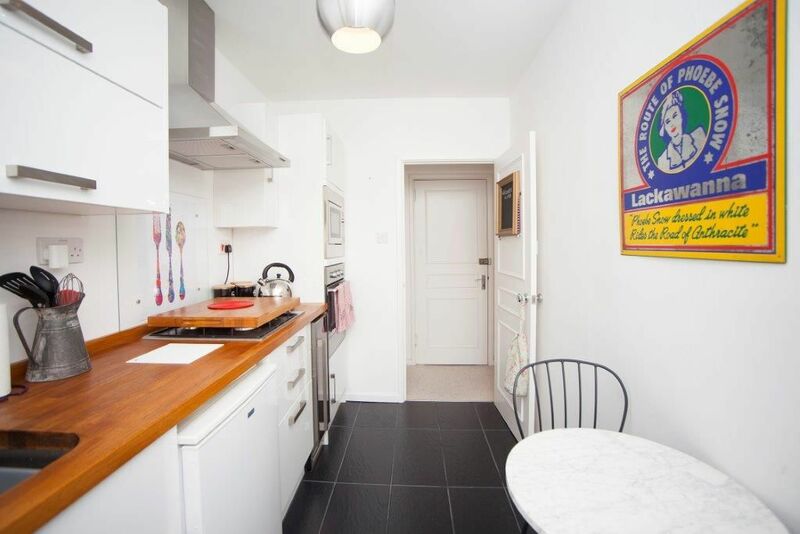 The cheerful white and wood kitchen has a wine chiller and a marble cafe table with 2 chairs for a Parisian holiday vibe. There is a gas hob, an electric oven and a microwave oven, a small fridge with freezer compartment and a handy store of condiments. In a separate utility cupboard is a washing machine and household utility items. There is a handy Laundromat along the street should you need a clothes dryer. 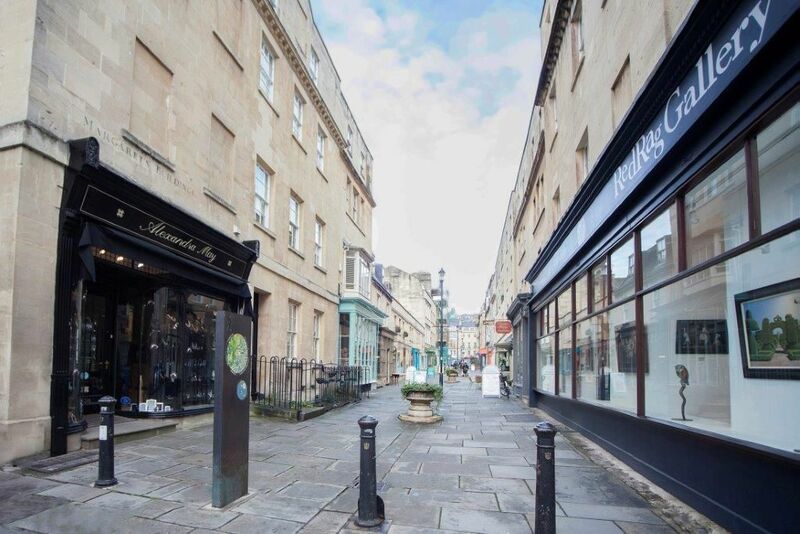 Dating from 1769, this delightful pedestrianised street in a peaceful residential area has welcoming cafes, pretty boutiques, a lively arts and crafts scene, fascinating independent shops and an authentic Italian bistro next door. 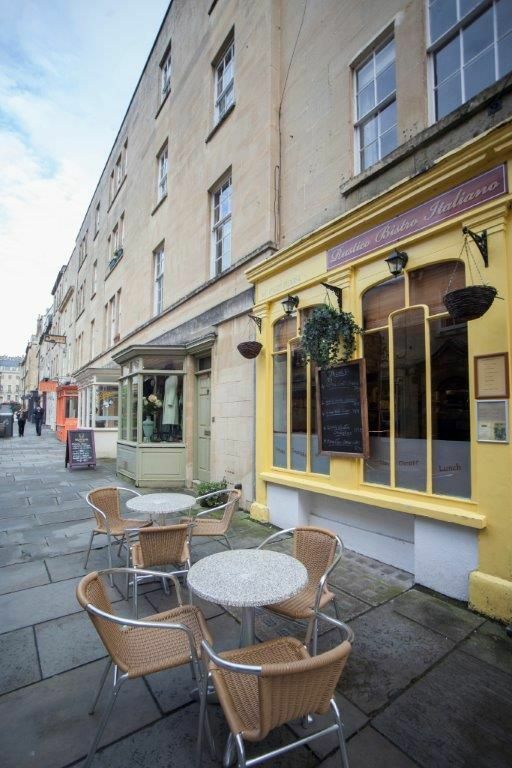 On sunny days, it’s a lovely spot to sit out for lunch or a glass of wine and in the winter it has a festive and twinkly atmosphere. The property is in a fantastic location. 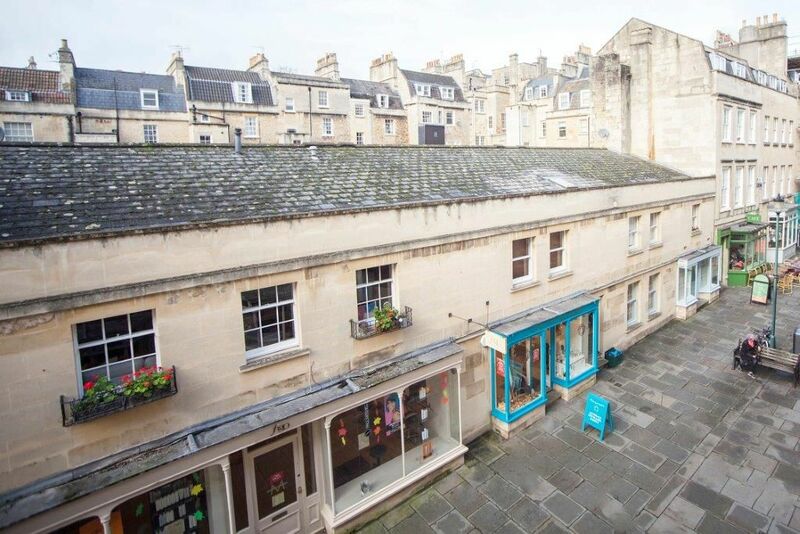 Located on a pedestrianised street so no sound of traffic from below. Margaret's Buildings street is lined with boutiques, antique shops and more. The Rustico restaurant next door serves up homemade Italian meals and the cafe further along serves dishes throughout the day and makes a fabulous coffee. Chequers gastro pub is a short walk away as is the Circus restaurant. 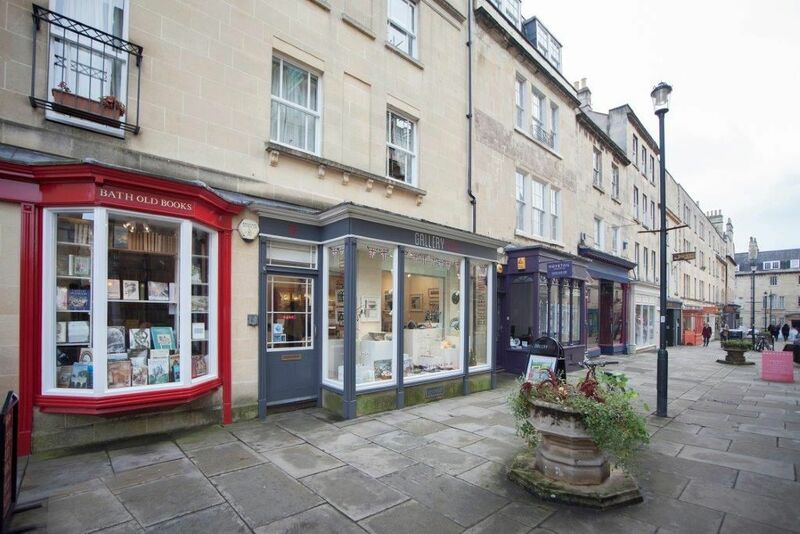 Both are recommended in our places to eat in Bath. 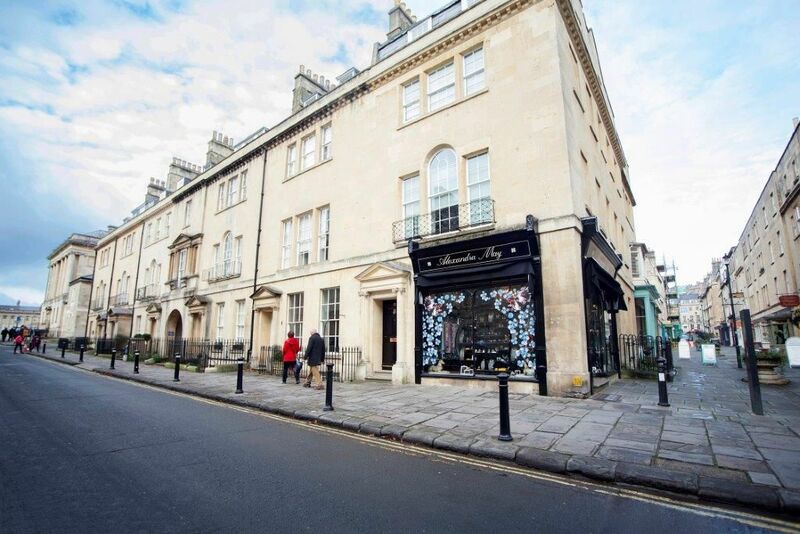 The property is nestled between Bath's famous landmarks of the Royal Crescent and the Circus. Victoria park is around the corner where you can enjoy an extensive area with indoor/outdoor tennis courts and mini golf, a botanical garden and a huge adventure park for children. Hot air balloon flights also take off from here. 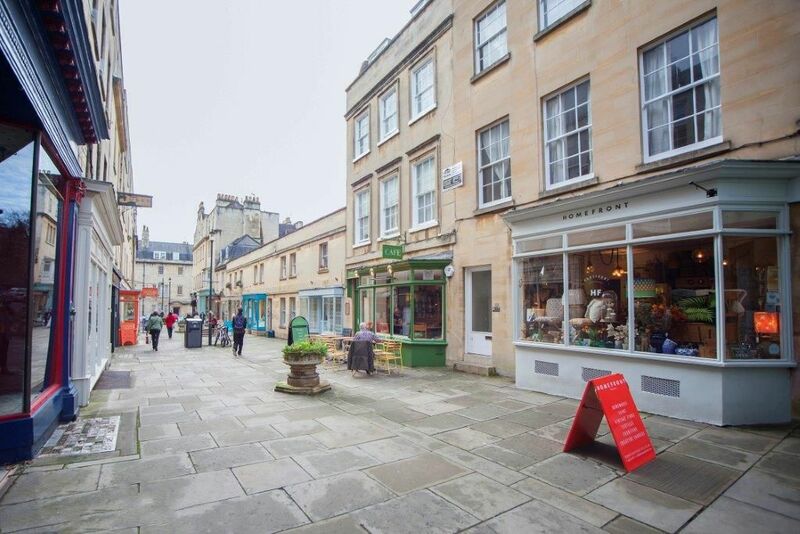 The main high street is less than a 5 minute walk away. You can download floor plan and access statements for this property from the links below. 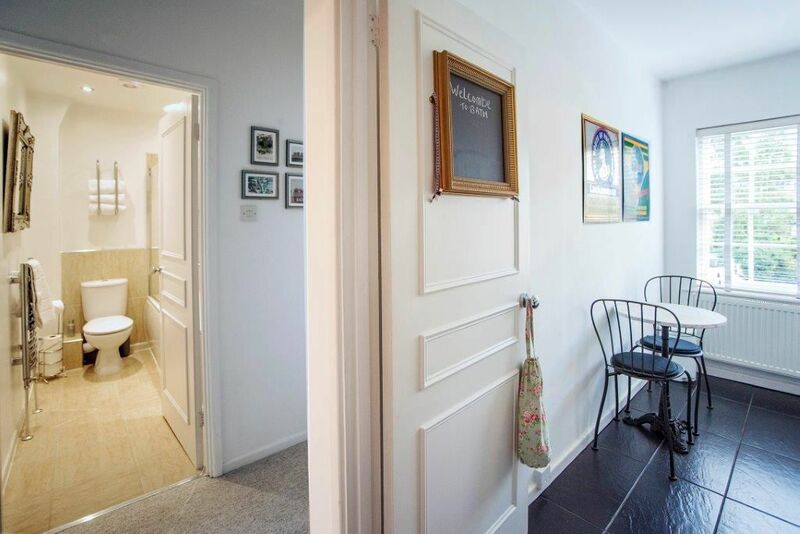 "Lovely apartment, very quiet, perfect location, great to have Netflix, nice welcome pack, would definitely stay again." We had an amazing weekend staying in this apartment. 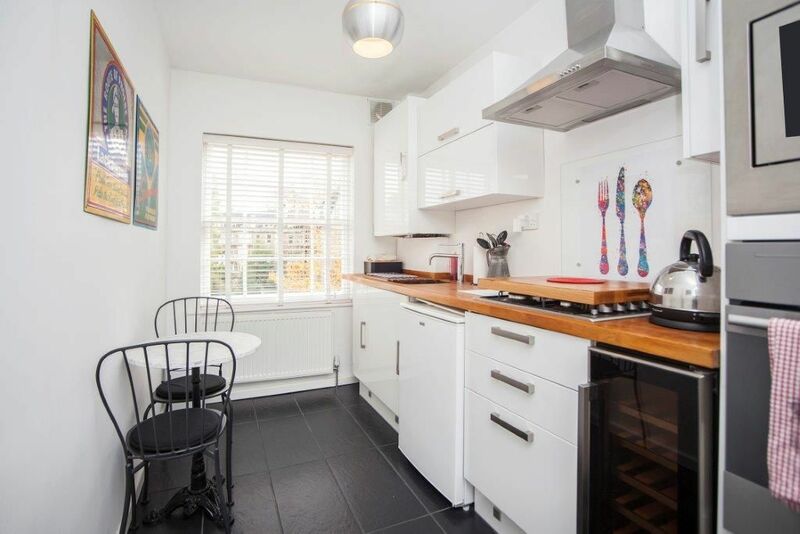 It is in a idyllic location but still only 10 mins walk to the shops and restaurants. The apartment itself is extremely stylish and we can't wait to come back! Just wanted to drop you a quick note to say how much we enjoyed staying in Margaret's building. 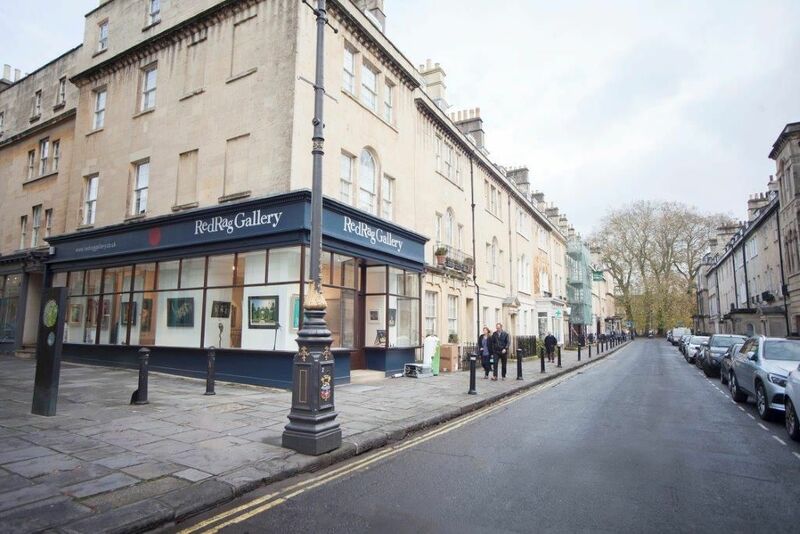 It was in a great location, on a quiet street but very close to the town centre and the beautiful Royal Crescent. The flat itself was immaculate and had everything we needed. Really good, powerful shower and the biggest, fluffiest towels! Wished we could have stayed longer. This is a new property as of November 2017 so we welcome your visit and testimonial.